In New Zealand buying Parmigiano Reggiano usually means buying small pre-packed slices, at great expense from the super market or deli. 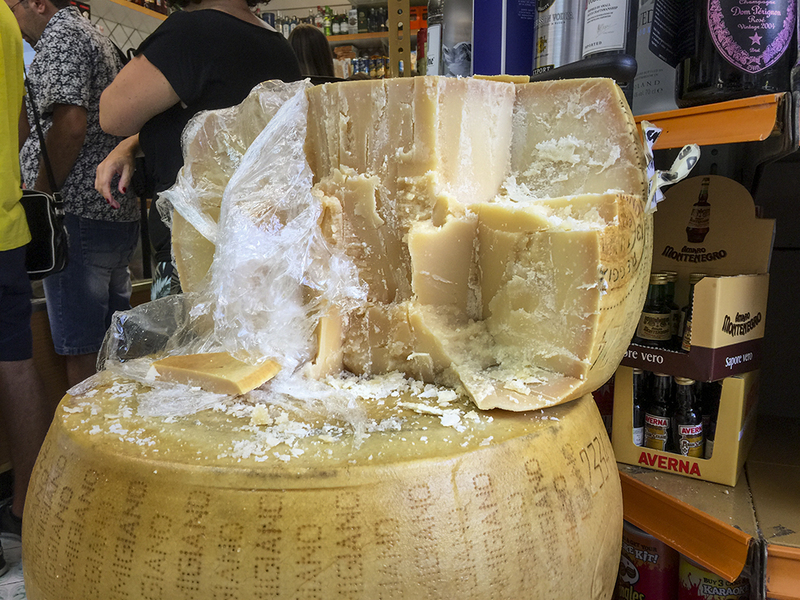 In Italy it’s different – as can be seen from the Parmigiano available at our favourite alimnetari. You give an indication of how much you want and it’s sliced off the round – right there in the middle of the store. These were also the rounds that Poppie and Daisy used to sit next too when they were in Positano waiting patiently for the shop keeper to cut off a wee slice as a treat. Poppy still enjoys the taste of Parmigiano – she obediently sits and waits for a taste every time I use some in a dish at home. One of the things that our dear old dog Daisy used to enjoy was standing on the arm of our couch, looking out the lounge window to the street, and barking at everyone that walked past. She taught Poppie and now, it seems, Poppie is passing it on to the next generation. On Friday I photographed Poppie and her barking apprentice Bella, on the arm of the couch, waiting for a new victim to come into view. It reminded me of a similar photo from 2005. The only difference is 8 years and a new couch. Yesterday we lost our wee girl Daisy. After fifteen years and seven months her big heart finally gave out and she slipped peacefully away. We will miss her terribly but we will always remember the stubborn and determined, but intensely loyal and devoted little girl she was. Our lovely vet Laura has, for the last year or so, referred to her as our medical miracle – which she was. We will think of her simply as our Daisy, our little girl. Yes gentle reader, another gratuitous dog shot makes it’s way into the blog. Our old girl Daisy (on the right) has now reached the unlikely age of 15 years and 6 months. Despite her heart condition, her deafness and her bad eyesight, she continues to battle on. In recent weeks she decided that all the old foods she used to eat and enjoy are boring and unappetising and she effectively stopped eating. Now she will only eat all the things that are bad for her. If it’s high in salt and low in vitamins and minerals, she’s into it. That means McDonalds McNuggets, Cherrios (cocktail sausages to all non-kiwis), store bought meat pies, pretty much everything that we would have been horrified feeding her before. But after talking this through with our lovely vet Linda the general feeling was – if she’ll eat it, then that’s good. Because if she stops eating, well, that’s very bad. Having said that, tonight, along with Jean and I, Daisy enjoyed fillet steak – medium rare – cooked in garlic butter. Daisy spends most of her time sleeping these days, in her basket, next to my desk in the study. 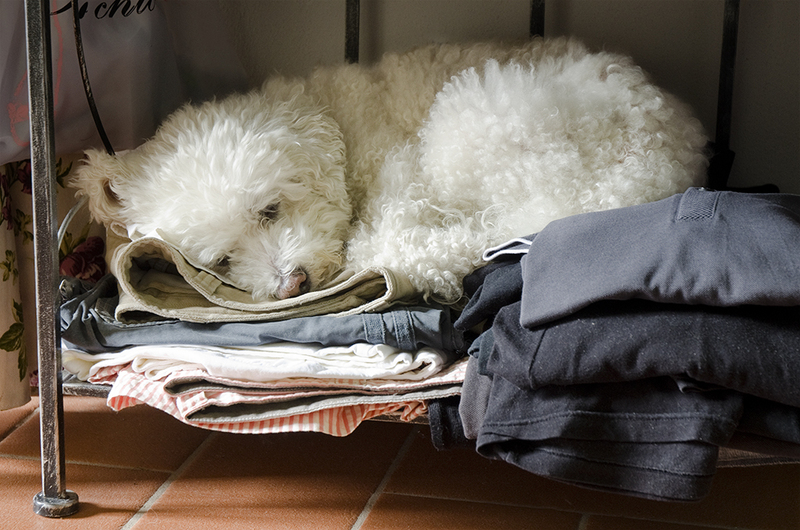 It’s a safe, warm place and a friendly pat is never far away. 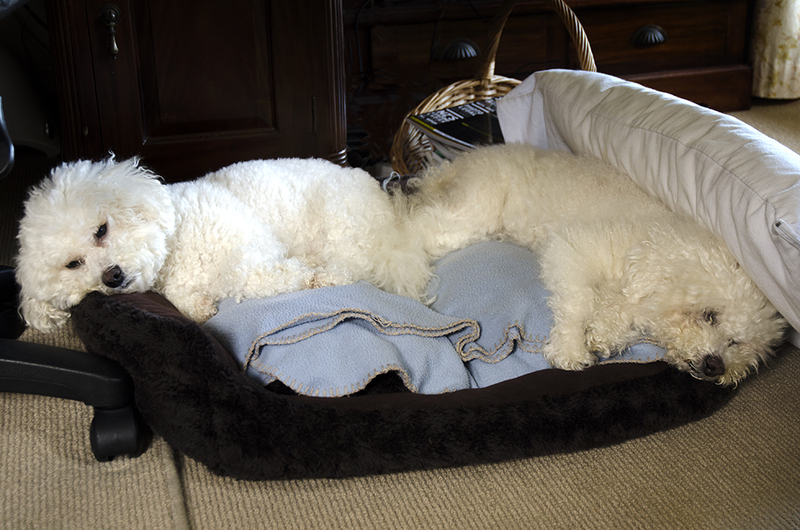 Yesterday I came into the study to find Daisy at one end of her basket – and our other girl Poppie curled up at the other. Poppie has been watching the extra attention being lavished on Daisy and maybe this is her way to remind us not to forget her. Mental note – fillet steak for 4 tomorrow night.